Today in New Zealand, the 22nd of January, it is Sir Edmund Hillary’s funeral, the final laying to rest of a national icon, and the only New Zealander to be immortalised on the face of a bank note while still alive. He was also the first person in 1953 to scale the face of Mt Everest. Disparities of timezones and the passage of sidereal time mean that for the rest of the world it is yesterday right now, the 21st January, when “Sir Ed” has yet to be buried, and it is still Martin Luther King Day, the celebration of another man who scaled a lofty peak—the highest ideals of human equality and brotherhood. 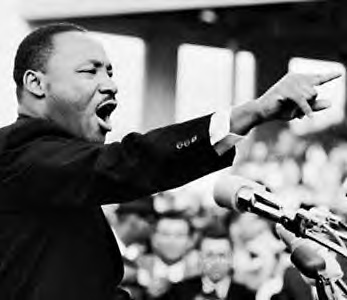 “Martin Luther King, beloved king of the heart-world, unhorizoned vision of the mind-world, hero-warrior of the vital-world, life-sacrificer of the body-world, to you my aspiration-dedication-life bows. “The Saviour-Son gave humanity the lesson of compassion and forgiveness. India’s Mahatma Gandhi, with his message of non-violence, proved to be an excellent student. In America the Absolute Supreme chose you to be His unparalleled student, to love divinely the soul of His creation and to serve unreservedly the body of His creation. Reprinted from Mahatma Gandhi: The Heart of Life by Sri Chinmoy (1994). I love watching this video; the dynamism and vision brings a smile to your face. BTW Lots of nifty plugins on this blog…. Thanks for the comments Tejvan. And believe it or not, I recently disabled a few plugins.